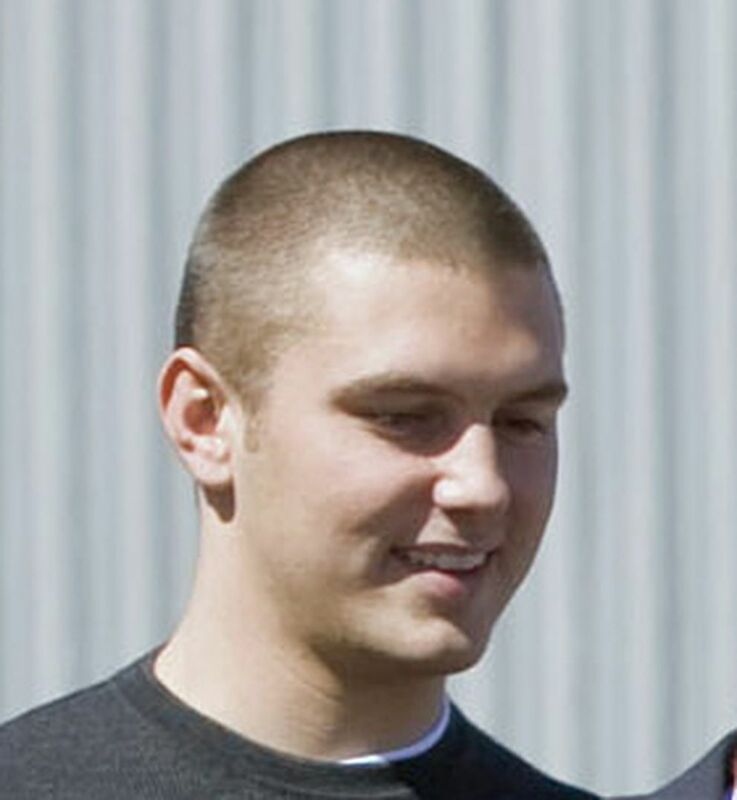 PALMER — Track Palin, the son of former Alaska Gov. Sarah Palin, opted not to finish a therapeutic court program for military veterans to address a 2016 domestic-violence arrest. Wasilla police arrested Palin, 28, on Saturday for beating his father, Todd Palin, at his parents' home near the Parks Highway. It was Sarah Palin who called police. A Wasilla police spokeswoman said Tuesday that she couldn't answer questions about whether any other family members were in the home when the assault happened. An Anchorage judge Monday granted Track Palin's ex-wife a short-term domestic violence protective order, according to a state courts database. Palin on Tuesday remained jailed at Mat-Su Pretrial Facility on $5,000 cash or corporate bail and release to a third-party custodian. His attorney, Patrick Bergt, declined to comment on the case. The incident over the weekend was Track Palin's second arrest for domestic violence at the Palin house. Police arrested him last year for punching a woman in the head and threatening to fire a rifle. He was charged with fourth-degree assault, interfering with the report of a domestic-violence crime and possessing a weapon while intoxicated. But rather than pursuing a traditional path through the court system, Palin chose an alternative sentencing agreement through Anchorage Veterans Court, according to his attorney and the Anchorage district attorney. Veterans Court offers eligible service members reduced or dismissed charges in exchange for going to weekly hearings and undergoing treatment — counseling, substance abuse programs — available through the U.S. Department of Veterans Affairs. "We don't force anybody. You have an option," said Rick Allen, who coordinates the program through his position as Anchorage district attorney. "It's a major time commitment. You're going to have to do lots of rehab stuff, you're going to have to do constant (urine tests). It's a major ordeal." Palin started Veterans Court in late June last year and was on the docket for six hearings into September, a state court database shows. If he completed the program, the court would dismiss his charges. But Palin's job didn't leave him the time to get treatment in Anchorage, said Kevin Fitzgerald, Palin's attorney for the case. So he chose to not complete the program. "There was a whole treatment plan that included substance abuse, if my memory serves me, substance abuse and counseling and it just became untenable," Fitzgerald said. Court documents filed in the case show Palin gave his home address as that of his parents and listed his job as working for Nabors Alaska Drilling Inc. Under an agreement he signed at the start of the program, Palin pleaded guilty to the weapons offense in exchange for not completing Veterans Court, Fitzgerald said. He was sentenced to serve 30 days, all of them suspended, and two years of probation. Palin was still on probation when last week's assault occurred. Sarah Palin said her son, like other veterans, came back from service "hardened" and changed and called him a combat veteran during a stump speech for then-presidential candidate Donald Trump in January 2016, a few days after her son's first assault arrest. The U.S. Army has not yet responded to a request for military service records filed by Anchorage Daily News on Monday. Palin served with the Alaska-based 25th Infantry Division's 1st Stryker Brigade Combat Team starting in 2008, according to reports at the time. His unit provided security for commanding officers.